Good senior citizen quotations can offer meaningful, nostalgic, or humorous sentiments for a variety of occasions. Use senior citizen quotes in speeches, writing, blogs, or even when communicating with friends and family to help you find the right words for the occasion. LitQuotes.com: Contains a database of literary quotations on aging. The lists include the author and text. Scrapbook.com: A collection of lighthearted funny senior quotes. Retirement Quotes: A selection found on NewRetirement.com. Quoteland is a database of topical quotations. Quote Lady has over 9,500 quotes organized by subject. 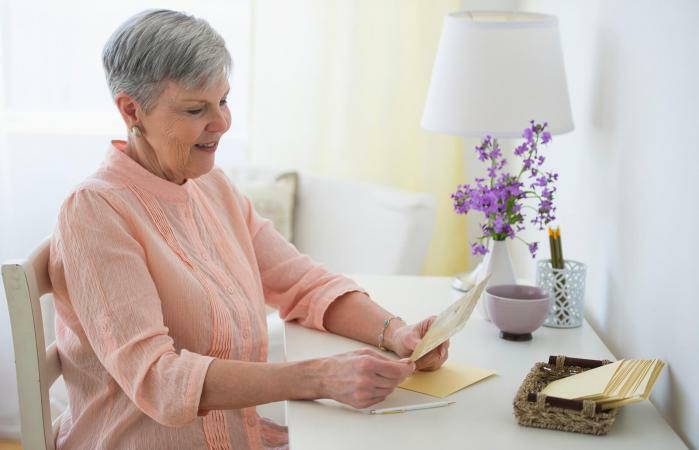 Reading or hearing positive phrases can be an encouragement for seniors. Many local community centers' or senior citizens websites offer quotes of the day. Preaching Today offers a list of Bible verses in relation to aging. Be sure to click on the small Bible icons, not the individual links. You don't have to be a celebrity or novelist to come up with your own good senior quotes. To make a great sentimental or love quote, recall a certain experience you and the recipient shared. Shared experiences create a special bond, and you only need a few words to bring the image to life. This is especially appropriate for sweet love quotes for anniversaries or other occasions. For example, a quote about the first time a couple met is a poignant way to express love for a 30th anniversary: "When I first saw you at the Midway Amusement Park, I was blown away you would agree to sit next to me on the Wild Dragon Coaster. I never dreamed I would have the privilege of waking up to you every morning for the next 30 years." Quotes are appropriate for a number of occasions and uses. A grandmother may be looking for a sweet quote about long-time family bonds to include in a letter to a grandchild. Likewise, a grandchild might want a special quote for a Grandparents Day card. A son or daughter might look for a lighthearted, humorous quote to include on a parent's birthday card. Still others might be looking for special senior phrases to to include with a retirement gift. A special thank you quotation is appropriate to offer when someone is being recognized for a lifelong contribution to a certain organization, either as an employee, volunteer, or in some other capacity. Inspirational quotes are also a wonderful gesture to offer in a card or letter, and scrapbooks are another great place for life quotes. Whether it's serious and sentimental, or novel and fun, there are many good senior quotes for every occasion. If it fits the circumstances and comes from the heart, a good quote is sure to add to a special touch.